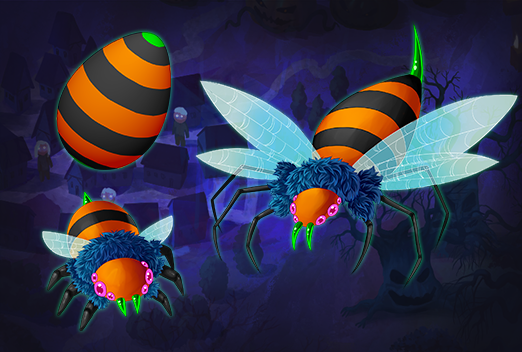 » [EVENT] Halloween will soon be here! Halloween on Eldarya will be available from Wednesday October 19 to November 2. Tremble young guardians, for this terrifying area has 17 different exploration locations for your companions! 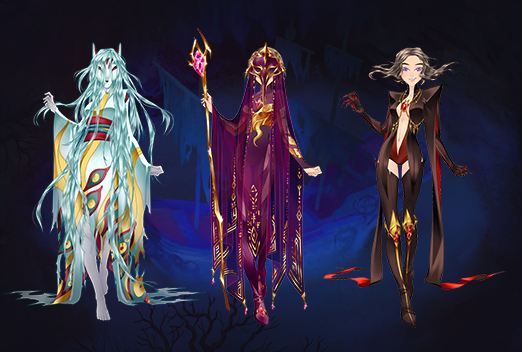 For this first Halloween on Eldarya, you will get a chance to scout out all of the special exploration locations for the entire duration of the event. 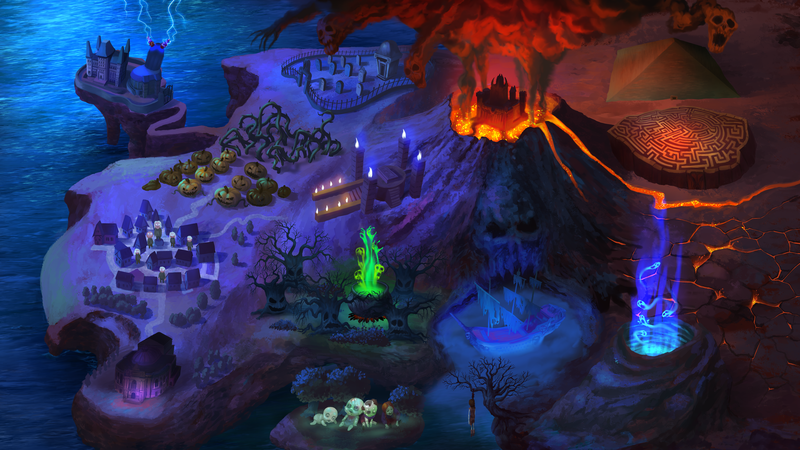 You will be able to find a numerous amount of exclusive outfits with their different colors by adventuring to all of these spooky places. Also, keep your eyes open! Two new companions will also be available in this area. Send your companion off to explore if you dare, for the rewards could be some exclusive items! If your companion comes back empty handed, a “second chance” gauge will be given. Once the gauge is full you will win a special Halloween item. However, if your companion finds something in the meantime, the gauge will reset to zero. 1 exclusive outfit available during your exploration. 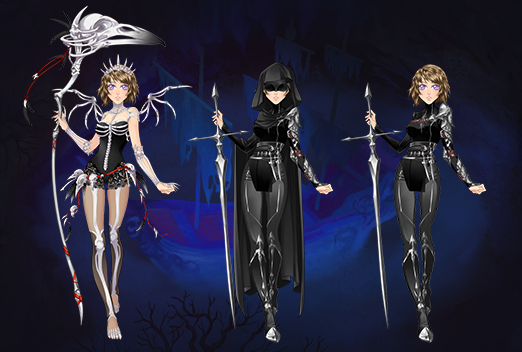 1 exclusive outfit in the shop available to purchase with gold coins. Note: There will also be other exclusive outfits available to purchase in the shop with gold coins. 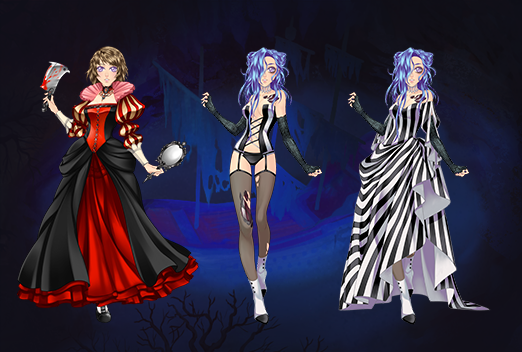 Illustration outfits can be found by exploring the terrifying grounds. For this event it will be Nevra themed. Note: The clothing items and eggs you buy in the shop cannot be resold on the market! The outfits are exclusive to this area and cannot be found anywhere else on the game. 3 Halloween companions are available through exploration. Their eggs will also be available in the shop for purchase with gold coins. Of course, with three different types of companion food for them in the companion shop. 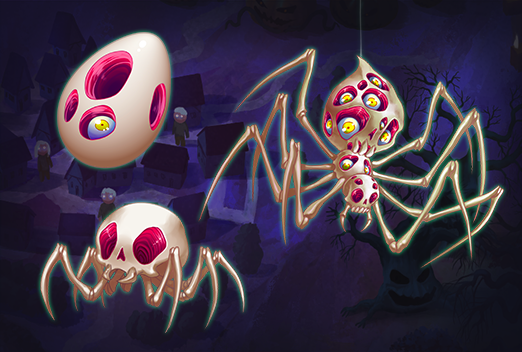 We hope you will enjoy this terribly spooky event! Ooh, can't wait! Hopefully Jipu finds me stuff! I'm so excited for this! And also really glad we get a second chance because my Crowmero rarely ever gets me anything good. Let's hope she finds something good! The second companion looks so cool! I hope I my companion can find that one. My fingers are crossed. Yes! Halloween is upon us! The outfits look awesome and the cat looks adorable! 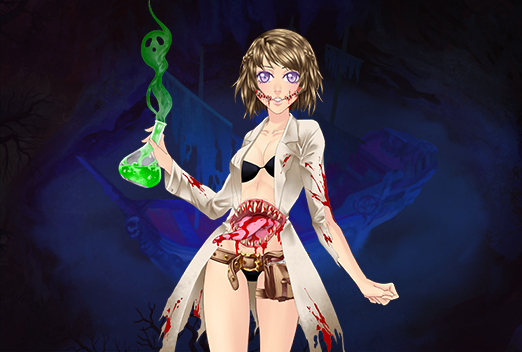 I am so super excited for this Halloween event!! 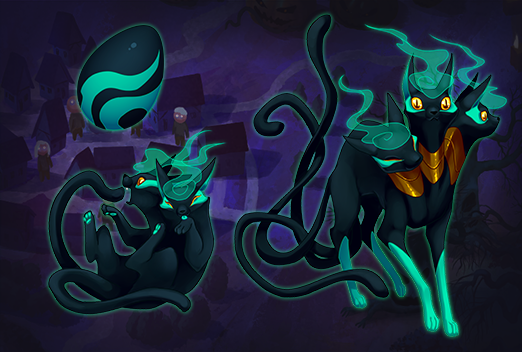 I sooo want the three-headed cat companion!! It looks adorable!! The outfits look pretty awesome too. My Ciralak "Midnight" is hungry and needs to eat so she can play, if anyone finds any candy corns they wish to sell for less than 30 maana, please message me! On some servers i see the Rawist wont be available but here it does not say?? Was it deleted? So you will be listening to the feedback and we will have our chance to obtain it? Oh my...I can't tell you enough how excited i am! Thanks so much! Also, I'm dying to get my hands on that cloak and the golden weapon. Link to external imageLink to external imageCuriosity killed the cat, but Satisfaction brought it back. I am in agreement with everyone else, that cat companion is simply fantastic! I hope I can collect all the outfits! But seriously, I want all the things! Nooo! Gold coins for companions..
New items! Hoping I win something I want. I love most of the outfits, although some aren't completely to my liking but they are well designed. I absolutely love the cat companion. Oh my goodness this is awesome! Everything looks nice! Our first event~ I thought this day would never come *-* Hopefully I get some of these items. Can't wait! Looks great ! Good Job !